Enterprises are deploying serverless technologies in record numbers. Because our solution is designed specifically for the unique challenges of serverless security, we are helping fuel the accelerated pace of serverless adoption. Protego Labs announced today that it won Gold for Best Startup in the 2019 Cybersecurity Excellence Awards. 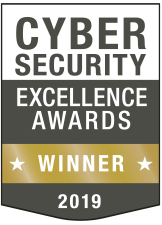 The Cybersecurity Excellence Awards honor individuals, products and companies that demonstrate excellence, innovation and leadership in information security. Protego Labs was one of 11 companies nominated in the Best Startup category for companies with 10 – 49 employees and the only Gold winner. Protego Labs’ platform offers full life-cycle security to serverless applications from deployment to run-time and can be up and running in just 20 minutes. It works by continuously scanning a company’s serverless infrastructure, including functions, logs, and databases, to help increase the application’s security posture and minimize the attack surface. Using machine-based analysis and deep learning algorithms, Protego Labs builds a model of normal function behavior to effectively detect threats, anomalies, and malicious attacks as they initiate and propagate. In addition to the Cybersecurity Excellence award, Protego Labs was named a 2019 Company to Watch by SDTimes Magazine, as well as one of Baltimore’s most promising startups on the realLIST2019 by Technical.ly Baltimore. In 2018, the company won an Innovator Award from SC Magazine, received Frost & Sullivan’s Global New Product Innovation Award, and won the Startup Competition for the most innovative cyber initiative at the CyberTech Tel Aviv Conference. Recently, the company launched the Damn Vulnerable Serverless Application (DVSA), an open-source tool designed to help security professionals test their skills and tools, help developers better understand the processes of securing serverless applications, and assist both students and teachers in learning about serverless application security in a controlled classroom environment. The company also spearheaded the Open Web Application Security Project (OWASP) Serverless Top 10, a report designed to be a first look into the leading risks in serverless security and to serve as a baseline for the official OWASP Serverless Top 10. Recognizing the inadequacy of traditional application security paradigms, Protego Labs designed the first comprehensive solution built with the unique constraints and opportunities of serverless in mind. Through continuous serverless security posture, dynamic serverless intelligence, and elastic defense, Protego helps organizations achieve control over the security of their applications. For more information, visit https://www.protego.io/.